The year 2015 was a great year for mobile app development as it saw massive market growth and adoption rates. The smartphone app boom has resulted in an enormous opportunity for businesses to develop their own apps and stay connected to their customers at all times, while benefiting from increased ROI. Building a mobile business app was an expensive affair in the past but not anymore. 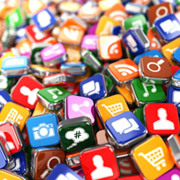 Small and medium-sized companies can develop business apps at a very low cost. The smartphone shipments are increasing at a very rapid rate and it is important for businesses to capture this market by developing apps on different platforms. Developing countries are the next frontier for the ever-increasing mobile phone market. Though a very booming industry, these markets may pose some challenges for mobile app developers. Majority of the mobile phone users in these countries live in areas with less network connectivity or very slow internet speeds. Mobile app developers need to take into consideration the size of screens and reduced processing capability of low-end phones in these developing countries. In order to gain popularity in these areas, apps should address issues such as cultural barriers, language, and literacy of the local population. The apps should be easy to use with minimum number of steps to follow, and minimize the battery usage. We at Outsource2india have an experienced team of software engineers specialized in mobile app development on various platforms such as iOS, Android, and Windows. We thoroughly understand the intricacies faced during the business app development process and customize our services to suit your business needs, delivering a final product within the desired time limit. Fill in the contact form or talk to one of our representatives with all your requirements and we will get back to you within 24 hours.